Donald Laverne Coffelt, long-time resident of Ponca City and current resident of Oklahoma City, passed away on November 20, 2018 at his home in Oklahoma City. He was 97. A funeral ceremony for Donald will be held at 10:00 am on Tuesday, November 27, 2018 at St Paul’s United Methodist Church in Ponca City with Cindy Robertson-Reidel and Robert Montgomery officiating. Following the ceremony, he will be laid to rest next to his wife, Irene, at Resthaven Memorial Park. Arrangements are under the direction of Trout Funeral Home and Crematory. Honorary casketbearers will be: Paul Satran, Jim Clark, Bill Thomason, Gerald Neal, Frank Wilkerson, George Cannon, and Richard Coffelt. Donald was born January 20, 1921, on a farm near Nardin, Oklahoma to Berl and Daysie Goin Coffelt. He attended school in Nardin and graduated from Blackwell High School. From a young age, Don’s passion was flying. He obtained his private pilot’s license just before the outbreak of the war. He joined the Navy and qualified for flight school graduating in January, 1943. He served in South America and North Africa flying anti-submarine aircraft including the SBD dive-bomber and the PV-1 fighter-bomber. At the end of the war he was flying transport aircraft in the states. While stationed in Kansas City, he met Irene Velores Olson, a stewardess for TWA. They married shortly after the end of the war. 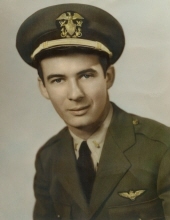 Don stayed in the Navy after the war and flew extensively in the Far East. After returning home, he flew for TWA and for 1 year flew for the King of Saudi Arabia. After returning to the States, he left TWA moved to Ponca City where he became successful in the lumber and ready-mix concrete business. He continued his flying into the 1990’s. Don and Irene moved to Oklahoma City in 2001 to be closer to Irene’s doctors in their fight against her Alzheimer’s disease. When Irene died in 2008, he continued to live an independent life. He developed close relationship with Nora Wilcox from his church who had a similar experience with Alzheimer’s disease caring for her husband who also died from the disease. She introduced him to her bridge group where he developed many close friends. Don was a member of St. Paul's United Methodist Church in Ponca City and Grace Methodist Church in Oklahoma City. He was also a member of the Lions Club, VFW, American Legion, and Masonic Lodge in Ponca City and maintained his memberships while in Oklahoma City. He is survivied by his daughter, Drucelle Wyckoff and her husband, Tom of Springfield, VA, his son, Michael and his wife Terrye of Oklahoma City, and his sister, Barbara of Oklahoma City. He was preceded in death by his wife Irene, his parents, Berl W. and Daysie Coffelt, his sister, Delores Fansler, and his brother Norman. In lieu of flowers, memorial contributions may be made in Don's honor to the Marland Children's Home, 1300 Summers Place, Ponca City, OK 74604. To send flowers or a remembrance gift to the family of Donald Laverne Coffelt, please visit our Tribute Store. "Email Address" would like to share the life celebration of Donald Laverne Coffelt. Click on the "link" to go to share a favorite memory or leave a condolence message for the family.